Move over, mean girls. Turns out the popular stereotype that females have a monopoly on backbiting, social exclusion and cruel gossip is just that: a stereotype. Boys do the exact same thing. It’s a truism we’ve heard over and over again. Girls show aggression covertly, deviously - they use their words as weapons. Boys are more straightforward and physical in the way they bully. Where a girl will whisper behind your back, a boy will punch you in the nose. Only problem: the truism is false. Increasingly, research is showing that this widely accepted view of gendered behaviour no longer fits the facts - and may never have done. “If you think relational aggression is only a ‘girl thing,’ think again,” explains author Michele Borba, whose new book Unselfie: Why Empathetic Kids Succeed in Our All-About-Me World surveys the latest research around the ways boys and girls engage in bullying. Borba defines relational aggression as a “nonphysical, covert form of bullying used to damage the reputation of another child or harm and manipulate that child’s relationships with others.” And boys, the data shows, show this kind of “mean girl” behaviour in precisely the same way as their female peers. “A male group intentionally leaving one boy out is a common ploy. Whether it occurs on the soccer field, playground, field trip, or back of the bus, it hurts to know you’re excluded,” Borba points out. Of course all of this can take offline or online. But the online world provides especially fertile ground for relational aggression to take root. This form of bullying behaviour, experts observe, is secretive by design - whether that means whispering hateful comments in the hallways, or holding court in an unsupervised corner of the playground. 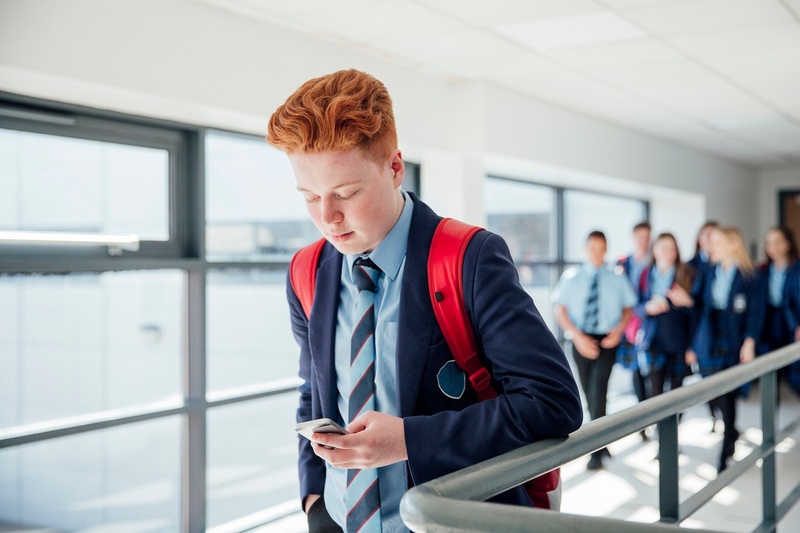 Unrestricted access to mobile devices affords students a secret channel to their victims any time, anywhere - posting cruel comments and photos, tormenting victims via text message or sexting, safe from the prying eyes and ears of teachers and parents. Technology is increasingly the channel for relational aggression. But in a sad irony, it can also be a place to hide from it. Research shows that students who become the victims of boy-on-boy bullying may seek refuge in the online world - gaming, in particular - as a safe space, or even as a place to imaginatively get revenge on tormentors.